Stay connected! 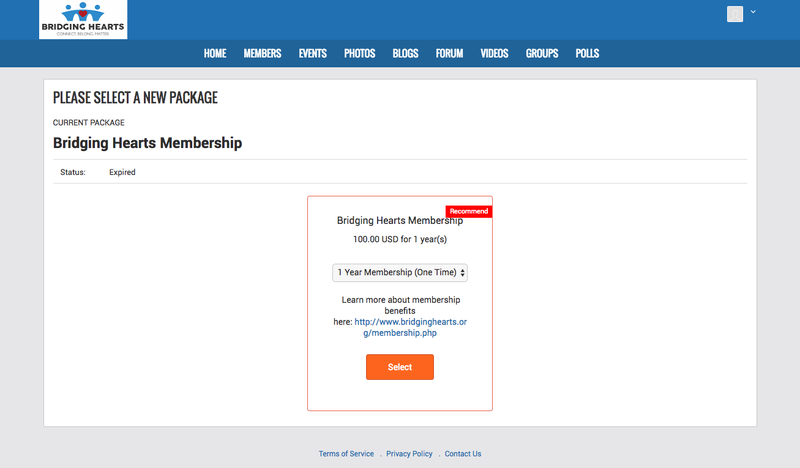 Here are instructions on how to renew your Bridging Hearts membership. Click on "Subscription Management" under the profile dropdown in the upper right corner of the screen. If your membership is expired, skip to the next step. Click "Change" to select a membership type. Select your membership option from the dropdown list, then click "Select". 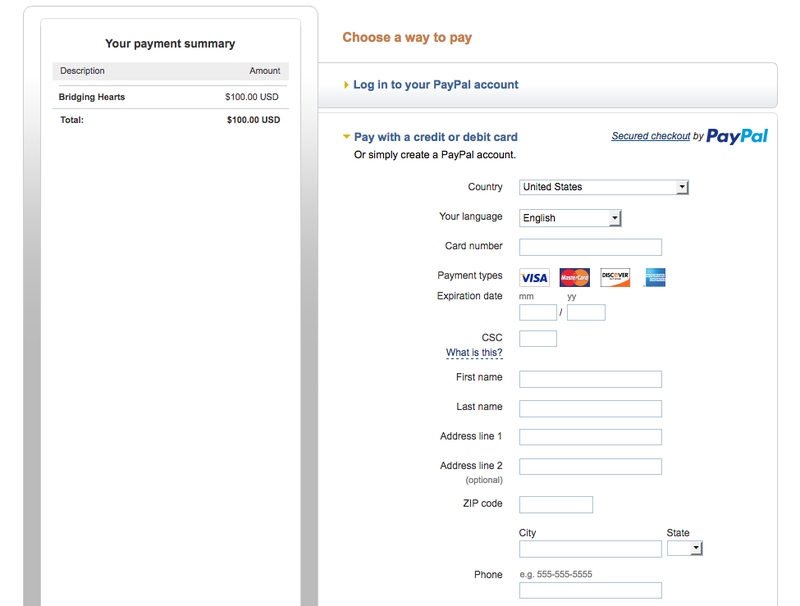 Note: You do NOT have to have a PayPal account to pay for your membership. 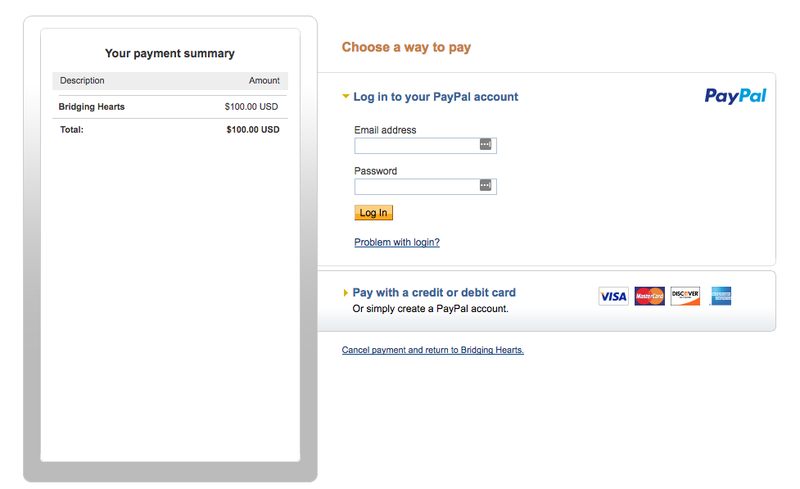 Complete the PayPal checkout and return to the member site. Your membership should now be renewed. If you have problems renewing, please email Meghan at enJ0dW5hQG9ldnF0dmF0dXJuZWdmLmJldA==|enJ0dW5hQG9ldnF0dmF0dXJuZWdmLmJldA==, or text or call 612-888-HRTS (612-888-4787).